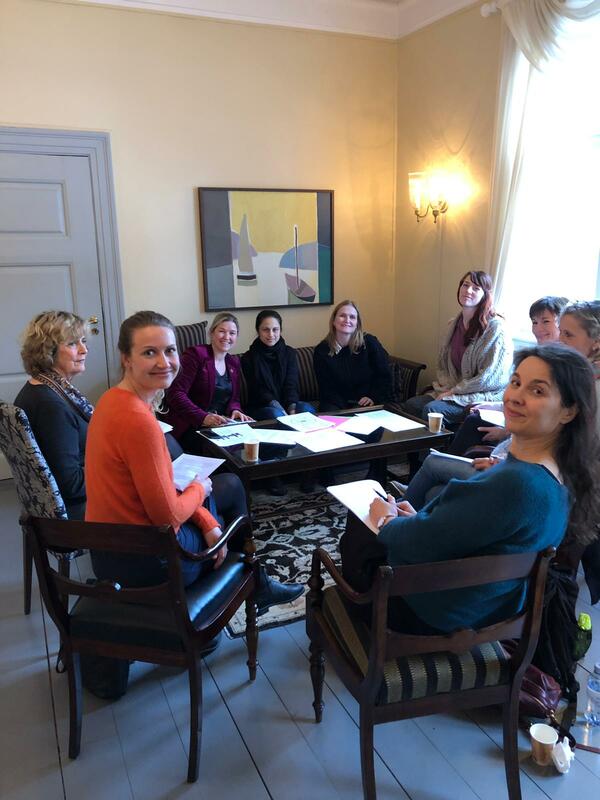 Celebrating the recent Lancet issue on 'Advancing women in global health' and planing next steps and initiatives of the Women in Global Health Norway platform. 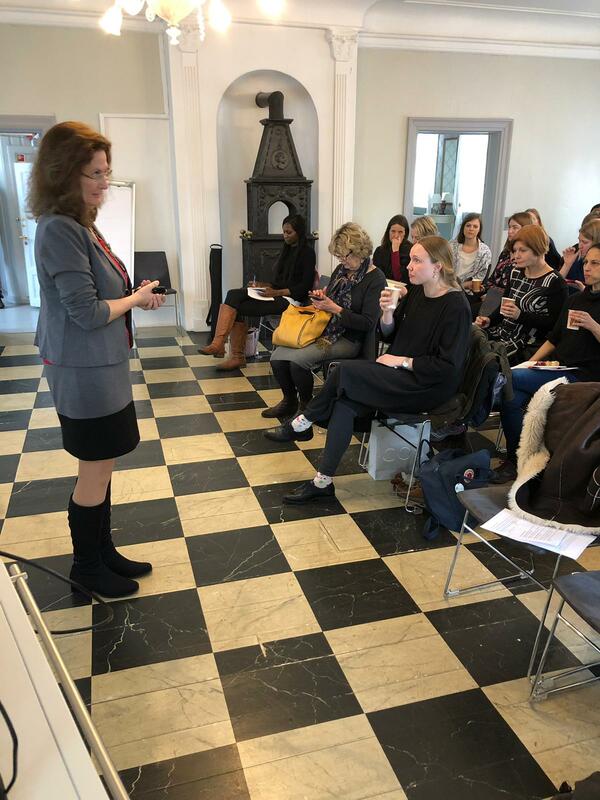 More than 40 women (and fortunately a few men) found their way to Tøyen Hovedgaard on the 13th of March, to discuss the future of the WGH Norway and the recent Lancet issue, and to network with Global Health colleagues. The meeting started with a welcome from Prof. Andrea S. Winkler, focusing on how Norway can contribute to gender equality and parity in leadership. She continued by presenting some of the many activities and achievements that has been going on since the launch of Women in Global Health Norway in November 2018. The global network of Women in Global Health has grown, with more chapters in Sweden, Somalia and a regional African hub launched in Kigali, Rwanda. A launch of the new Ethiopian chapter (in Addis) is in process. Lastly, Prof. Winkler discussed the current plans of WGH Norway and the need for building national ownership and a sustainable governance structure of the platform. 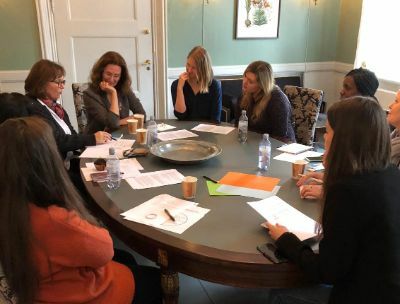 Dr. Sigrun Møgedal gave the participants an introduction to the Lancet issue "Advancing women in science, medicine and global health" (Feb 09, 2019, Volume 393, and Number 10171) as food for thought before the World Café discussions. Dr. Møgedal used three papers from the Lancet to illustrate how gender diversity is both an opportunity and a challenge in global health. Ms. Ingeborg Haavardsson introduced the idea of the World Café in which members in attendance were divided into 5 groups. The discussions in groups took 45 minutes and was facilitated by Inger Brummenæs Scheel, Benedikte Alveberg, Sidsel Roalkvam, Øyunn Holen and Tonje Tingbjerg. After the discussions, members presented the main outcomes of their discussion for 45 minutes, facilitated by Benedikte Alveberg. Inspired by the issue «Advancing women in science, medicine and global health” from the Lancet and the introduction by Dr. Møgedal, what challenges do you see in the field of global health in Norway today? What issues and challenges are most relevant for the Women in Global Health Norway platform to target? In order for the Women in Global Health Norway platform to target these issues and challenges - What activities and initiatives would you find most relevant? Globally, traditional structures are still in place in Global Health leadership with male dominance, and women are under-represented in leadership positions. Women in global health leadership positions need to act as role models and help other to climb the ladders into leadership positions. Facilitation of small informal discussions inspired by the World Café concept.